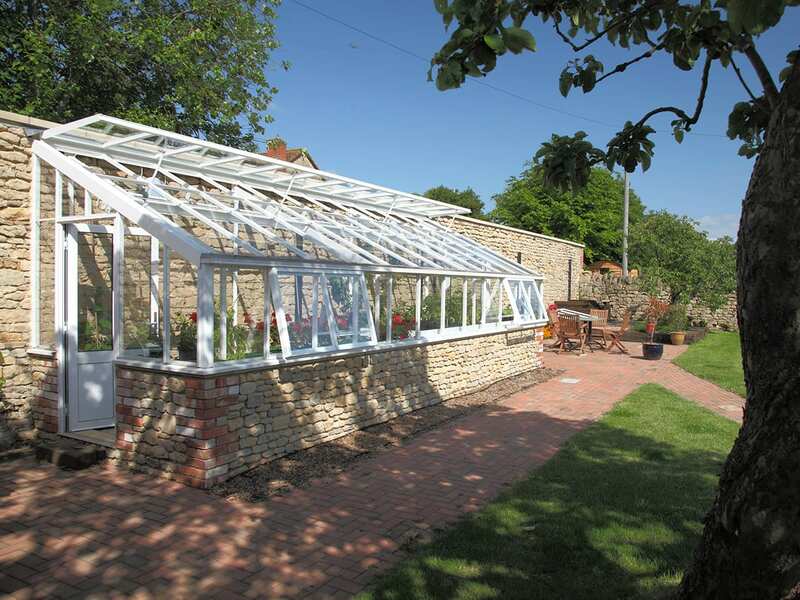 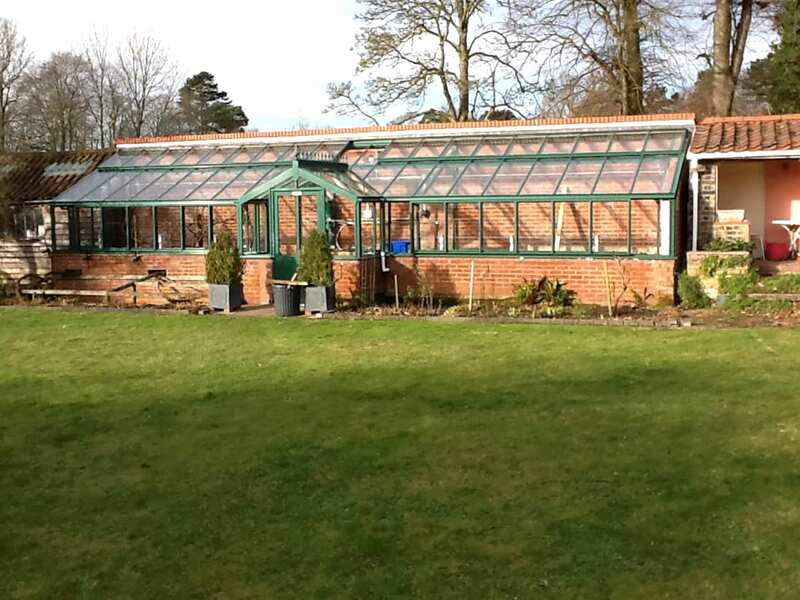 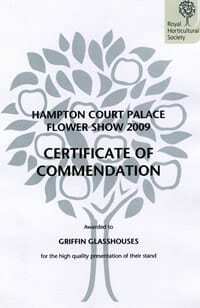 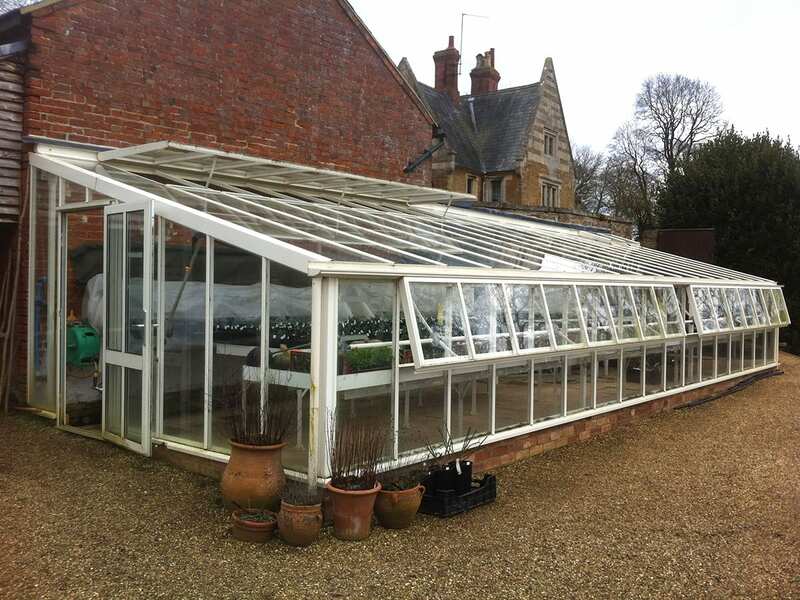 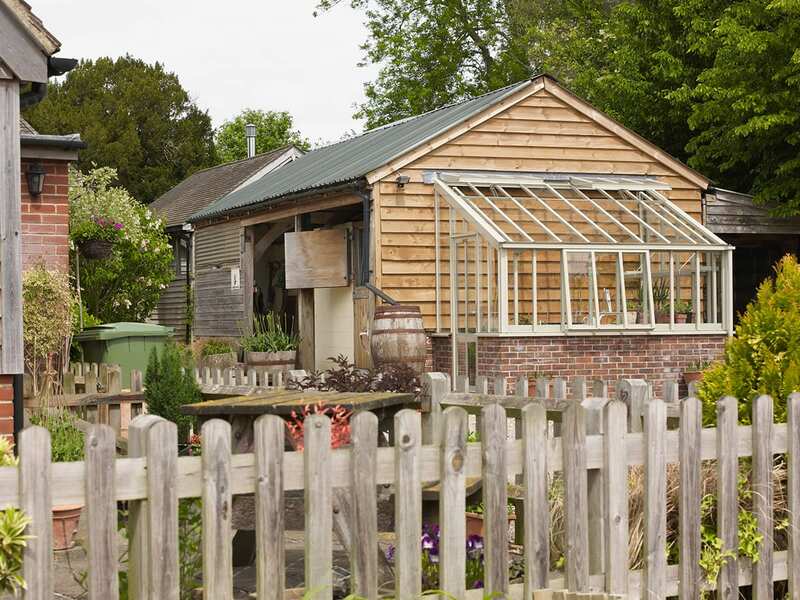 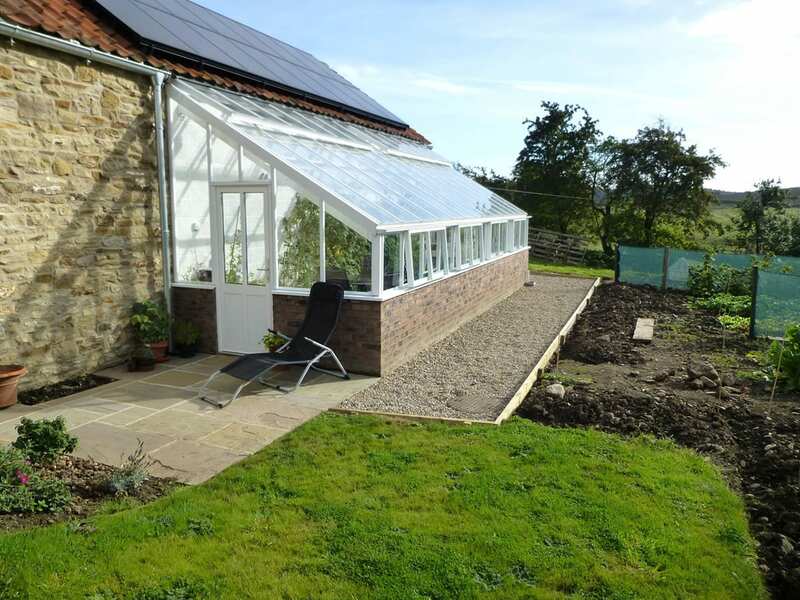 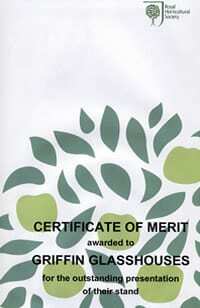 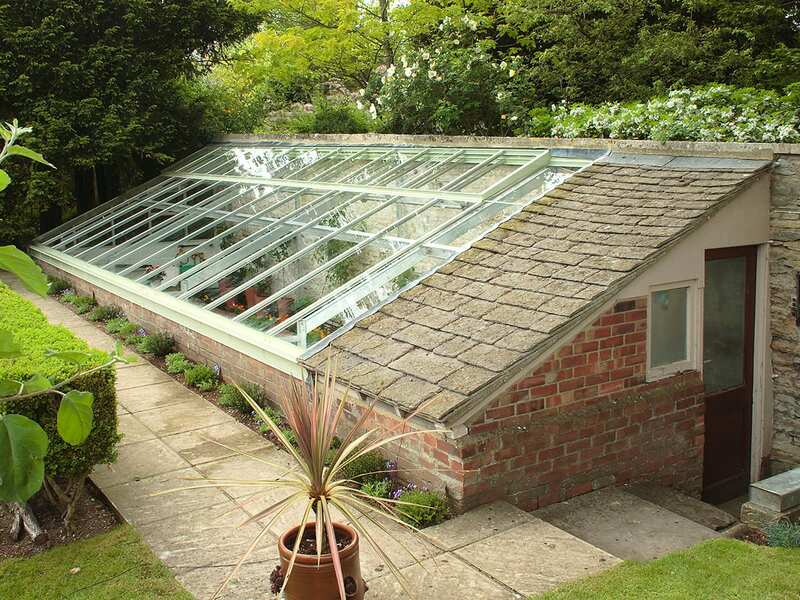 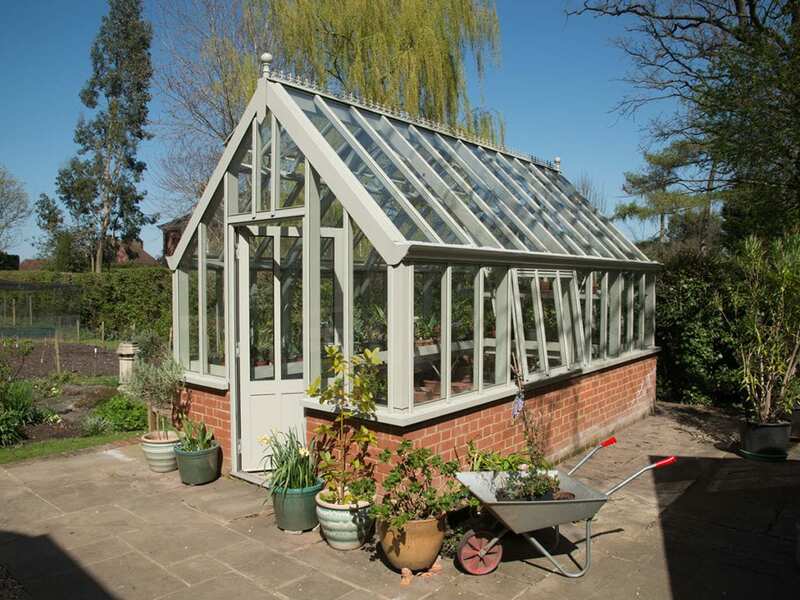 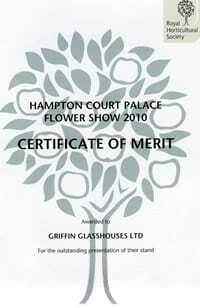 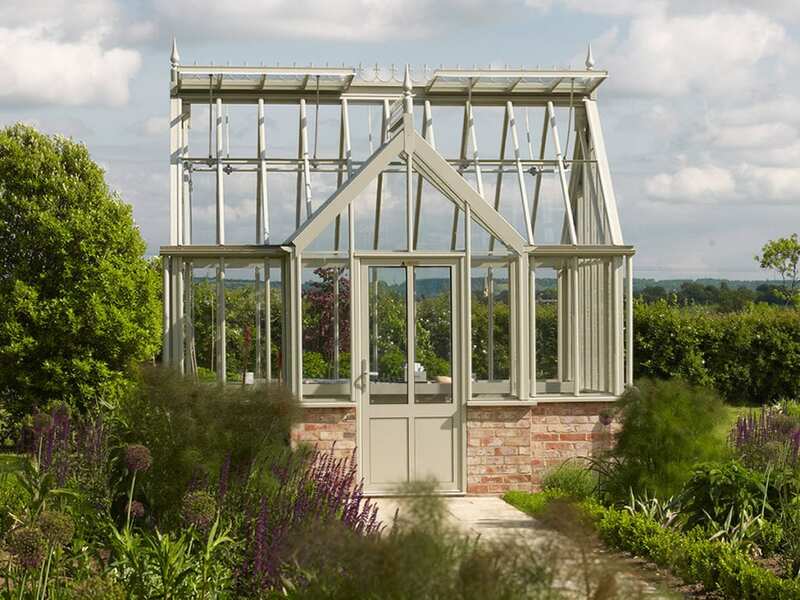 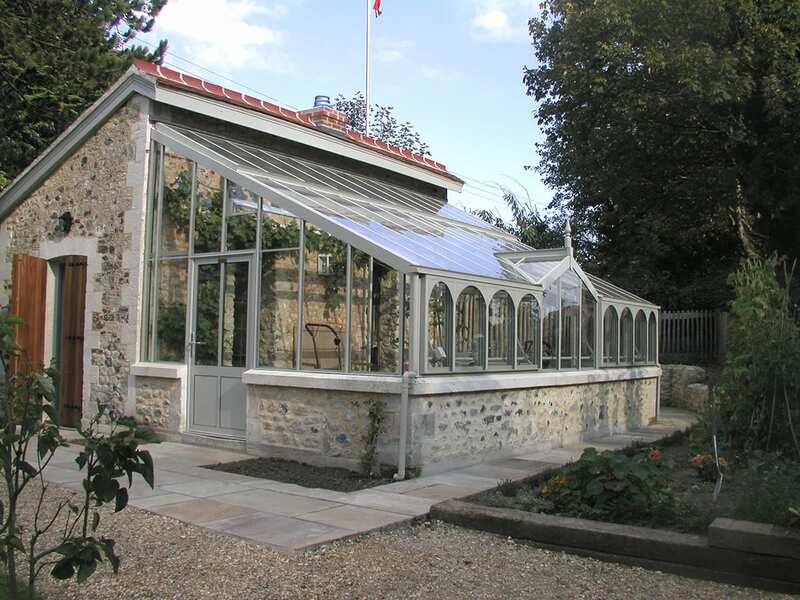 A lean to greenhouse or orangery is a wonderful option if you have a high wall. 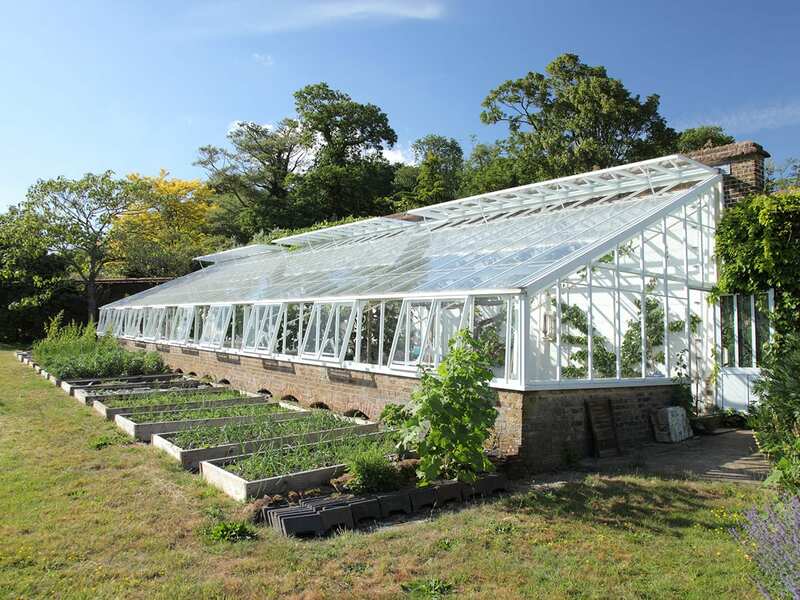 The wall collects and stores the sun’s heat during the day and then emits this at night which helps maintain the greenhouse temperature. 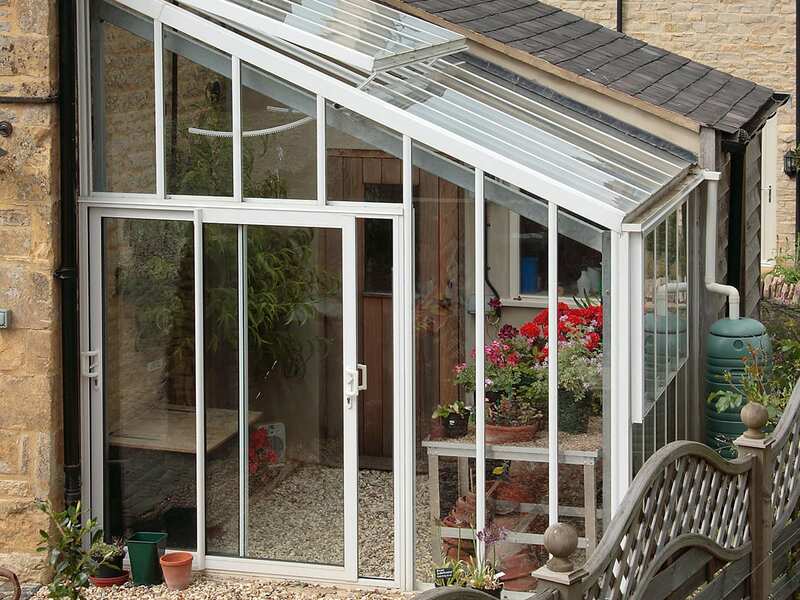 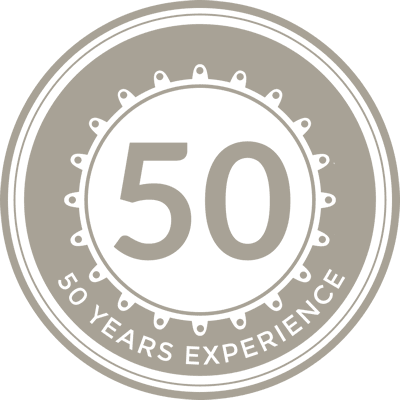 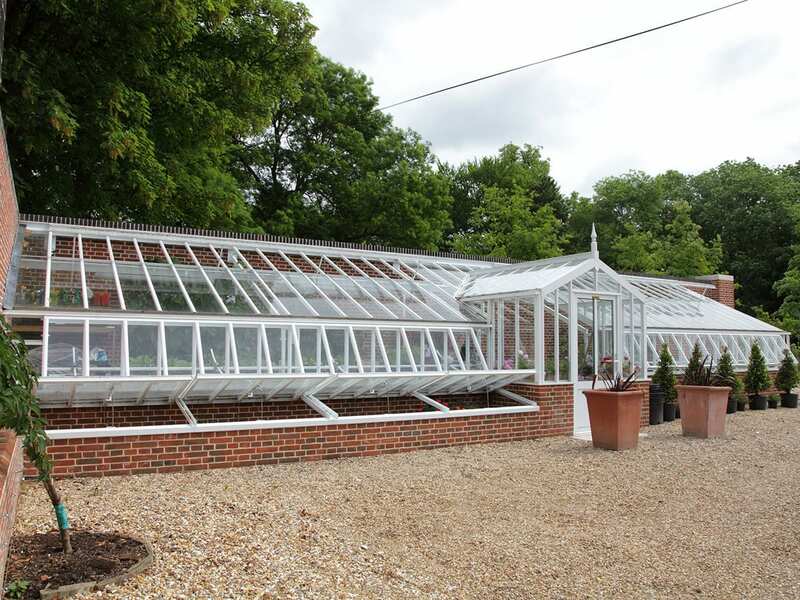 Our beautifully designed lean to greenhouses and orangeries usually have full length ventilation to the ridge as well as side ventilators to maximise air circulation. 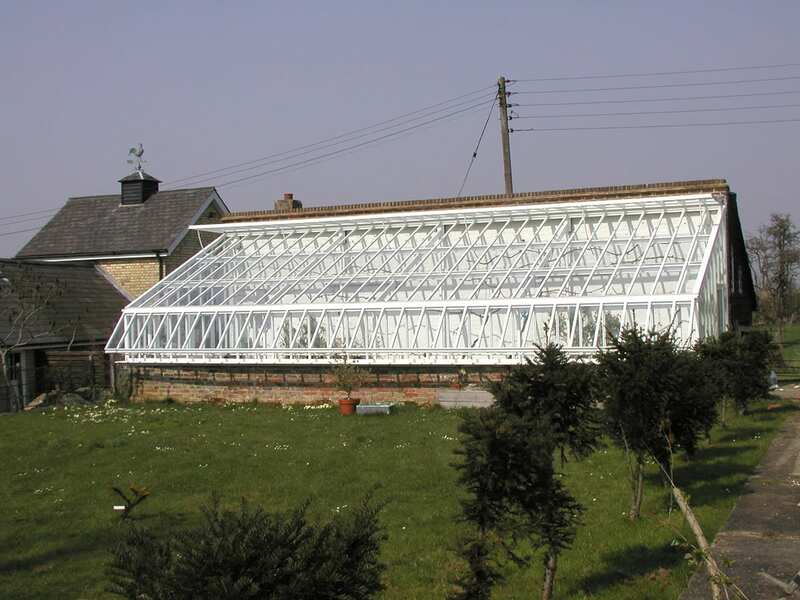 The size of a lean to greenhouse is governed by the height of the high wall. 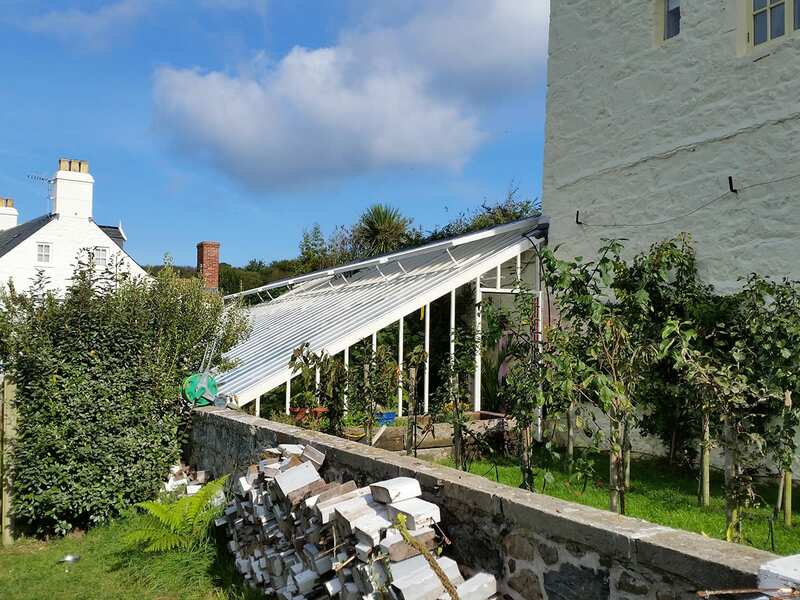 In general, for a width of 2.4m (8 feet) the wall will need to be at least 3.2m (10 feet 6 inches) high. 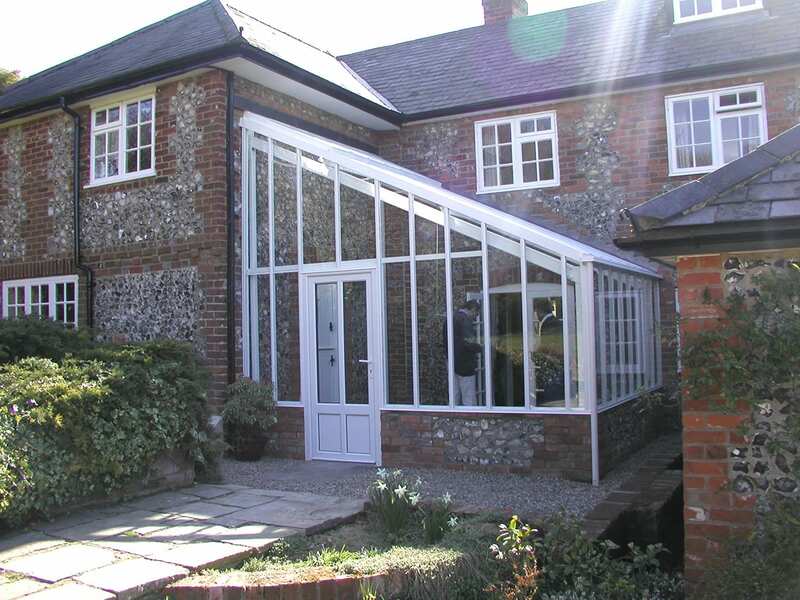 If your wall isn’t high enough, then a 3/4 span (also known as an offset ridge) is a very attractive alternative. 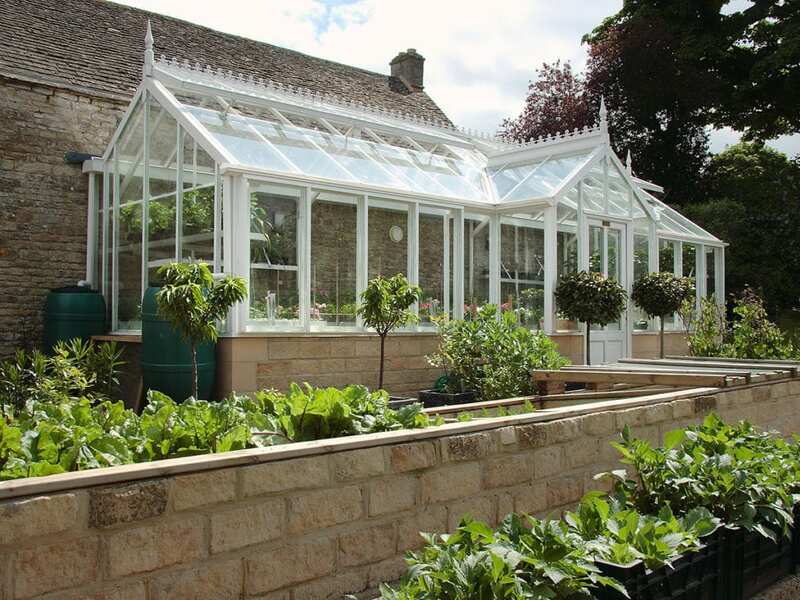 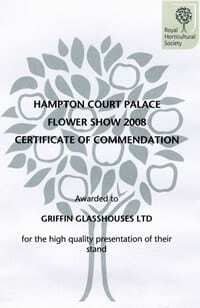 Talk to one of our designers now about how we can use your wall to create the ideal environment for your plants with a lean to glasshouse.